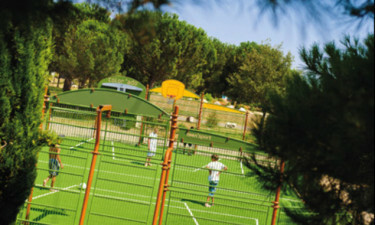 L'Ile des Papes offers a unique sense of luxury camping. 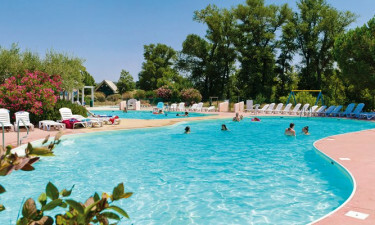 The holiday camping site of L'Ile des Papes provides a plethora of on-site activities as well as immediate access to the splendour of the Avignon region of France. Not only is the weather here agreeable for the majority of the year, but modern amenities will provide a true sense of camping luxury. As always, please contact LuxCamp for further details. Why choose Camping L'Ile des Papes? Mobile home accommodations and private pitches. Swimming and play areas for younger children. Volleyball, badminton and miniature golf. Facilities designed for those who may have mobility issues. One of the main benefits associated with this camping holiday is that all guests have immediate access to two large open-air pools. There is also a paddling pool as well as a shallow area designed for children. Please note that these swimming areas are open between early May and the end of September. Another attractive feature in regards to L'Ile des Papes is that it is found quite close to the Rhone River (approximately 100 metres to the east and the west). Thus, guests are able to access nearby beaches and there is always the possibility of employing a boat hire service to explore nearby regions.